The White Paper is now available to download from the publications page. It offers a unique and in-depth summary of the methods developed for this Design-Driven Material Innovation project. It maps and highlights the new knowledge that was created through these methods, enabling others to understand how and when to best use each aspect of this broad toolbox. The paper describes how the Trash-2-Cash (T2C) project was formulated and developed using a design-driven process, to achieve material innovation in a specific context; taking into account specific processing technologies, disciplines and competencies. It focuses on how the interdisciplinary and knowledge-sharing approach was mediated by design, involving the implementation of an experimental and exploratory applied methodology. The main aim of the applied methodology was to integrate design inputs - fed by life cycle, consumer behaviour and manufacturing expertise - into materials R&D in order to contribute towards closing a specific innovation cycle. A group of facilitators and design researchers (the “Methodology Team”) supported the development of the interdisciplinary process, and the contents of this report represent the perspective of the facilitators. The whole process has been observed, monitored and studied in order to elicit some final recommendations for future Design-Driven Material Innovation (DDMI) initiatives. A summary of these recommendations is presented in this paper. The first part of this paper introduces the T2C project and the DDMI methodology, both in relation with the project and as a general concept. A final process scheme completes this part, representing a generalisation and conceptualisation of what occurred during the whole DDMI process. Twelve interdisciplinary workshops have been a key asset to set up and develop the interdisciplinary dialogue and knowledge-sharing among the different competencies involved in T2C project; they have been crucial for the development and implementation of the applied DDMI methodology. The relevance of the workshops is such that most of this white paper is dedicated to the description of what happened during these meetings, how they have been designed, and what tools have been used. The conclusive third part of the report presents the final recommendations: the DDMI Recommendations Map comprising 32 core recommendations derived from the research as a whole, relating to four themes: Project, Knowledge & Information, People & Roles and Tools. These are mapped to the general T2C process scheme. The circularity and Life Cycle Thinking represent the other body of knowledge related to the DDMI process in T2C, included in the third part the main findings. The authors tried to generalise and conceptualise the information contained in this white paper in order to provide useful information, inputs, and insights to organisations and professionals interested in replicating the methodology in other fields, industries, technology fields, beyond those explored in theT2C project. It is also hoped that other researchers can adapt this knowledge to the circumstances and context of the projects they are planning or working on. Friday 30 November marked the last day of EU Horizon 2020 funding for Trash-2-Cash and whilst its hard saying farewell to the project family we have worked very hard to create, today is a great day to reflect on all that we’ve achieved. 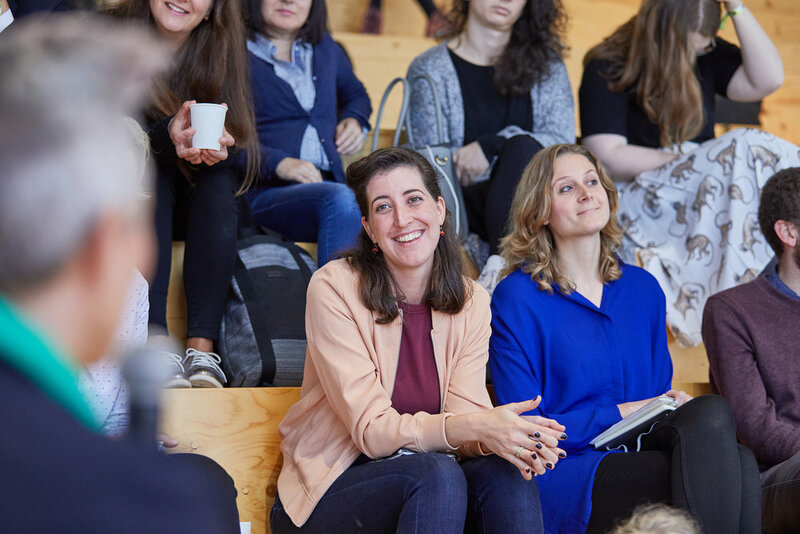 Just a month ago, at Dutch Design Week, we celebrated the project outcomes in a Final Results Seminar at VanBerlo HQ, all of us seated on a magnificent wooden staircase-come-auditorium along with some special guests. This is a great tableau for the project at M42: 3 technological breakthroughs; 6 master case product prototypes; 1 way of working together. Professor Rebecca Earley (UAL) began by contextualizing the work we’ve done within current debates around climate change and plastic pollution followed by a presentation of the three technologies for cellulose regeneration, polyester de-re-polymerisation and polymer chain extension upgrading. Then was the turn of the methodology team to talk about the approach and tools for Life Cycle Thinking, presented by Dr Kate Goldsworthy (UAL), and Innovation by Julie Hornix (VanBerlo). Dr Rosie Hornbuckle (UAL) then spoke about the approach taken by The Methodology Team to enable the interdisciplinary work between a great many partners, finishing with 32 Core Recommendations for Design Driven Material Innovation (DDMI) which can be found in the White Paper. The Six Master Cases were presented by the interdisciplinary teams involved in their creation, with a panel-style Q&A which probed the key challenges and issues addressed by each master case. The seminar is brilliantly captured in the film montage featured on the homepage. We also recently completed the final T2C podcast for the Ellen MacArthur Foundation’s Disruptive Innovation Festival (DIF) 2018, which revisits key moments in some of the podcasts we’ve recorded over 3.5 years, as well as including a new reflective conversation about the impact of the Final Showcase and the reception it received among visitors. Listen to the podcast here. To complete the wealth of project resources you can also now find a final set of slides to represent the work we’ve completed and a final results brochure. This is the end of T2C as an EU H2020 project but it’s just the beginning - the basecamp if you like: for demonstrating how these technologies can really challenge conventional modes of production; for exploring how design-science collaborations can drive circular innovation; for continuing cross-industry partnerships; for changing the way we all think about our own work and that of others. T2C represents a movement towards different ways of working, making, connecting and consuming which means there actually isn’t an end at all but a very bright, circular future. At Milan Furniture Fair this May, Professor Becky Earley of UAL sat down with project facilitator Christian Tubito of Material Connexion Italia to reflect on the successes and challenges of the project and what they were hoping to achieve at the Dutch Design Week exhibition. Christian talks about his background and work in material innovation and design strategy, what it was like to collaborate with so many partners in a Design Driven Material Innovation process and his time travelling adventures up and down the project GANTT chart! Dutch Design Week 2018 is in full swing! And that means you can come see the results of the Trash-2-Cash project right now. In the final unwrapping of our 6 Master Case ‘stories’ and their prototype products you see that we’ve not just been looking at sustainability within the fashion industry. The Fashion Fascia Master Case explores a circular future for automobile interiors. Currently, cars are mostly manufactured with virgin materials, including composites (combinations of materials) that can’t be recycled. Recycled materials are mostly unattractive and remain hidden. New regulations coming into force will require car manufacturers to use more and more recycled and recyclable materials; this will mean using them in the visible areas of the car where aesthetic standards are higher. The Trash-2-Cash automotive designers turned their attention to the car interior, where recycled materials could be an eye-catching feature. They focused on the central console and door inserts – the decorative areas by the gearshift and door handles. The designers wanted the new materials to add an individual touch and be luxurious, as well as being made from recycled materials and fully recyclable at the end of their useful life. Trash-2-Cash scientists and designers explored a variety of material innovations using T2C recycled polymers and fibres, laser etching, an innovative recyclable epoxy resin and textile print design. 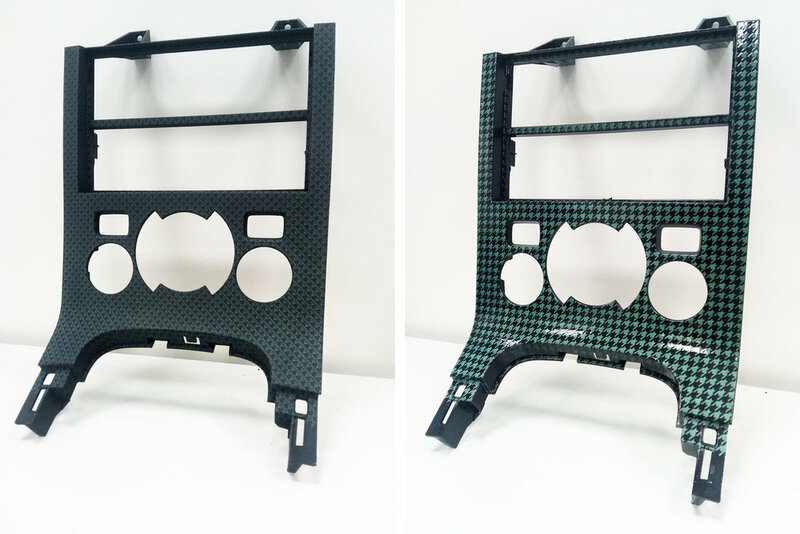 In one example recycled PET pellets from old fleece dressing gowns have been injection moulded to produce a central console panel for a car interior. 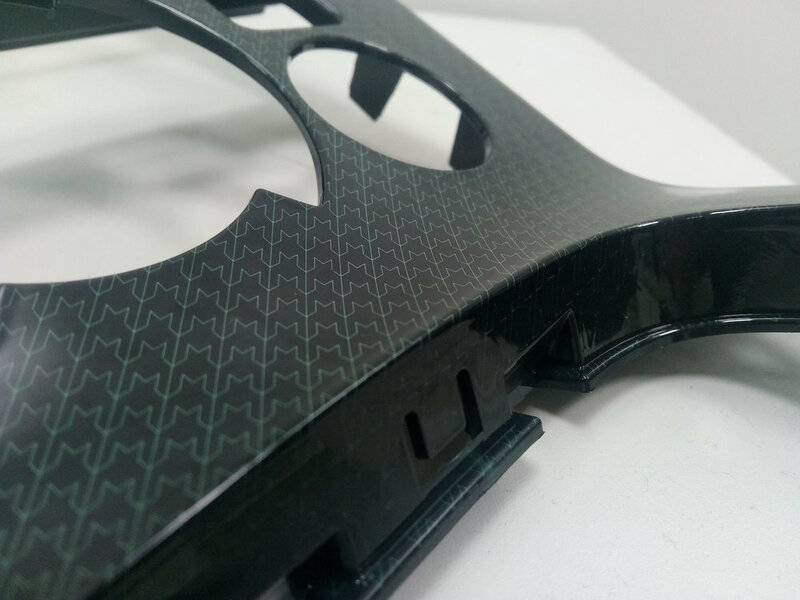 Customisable laser etching adds to the surface decoration, removing the need for additional treatments. 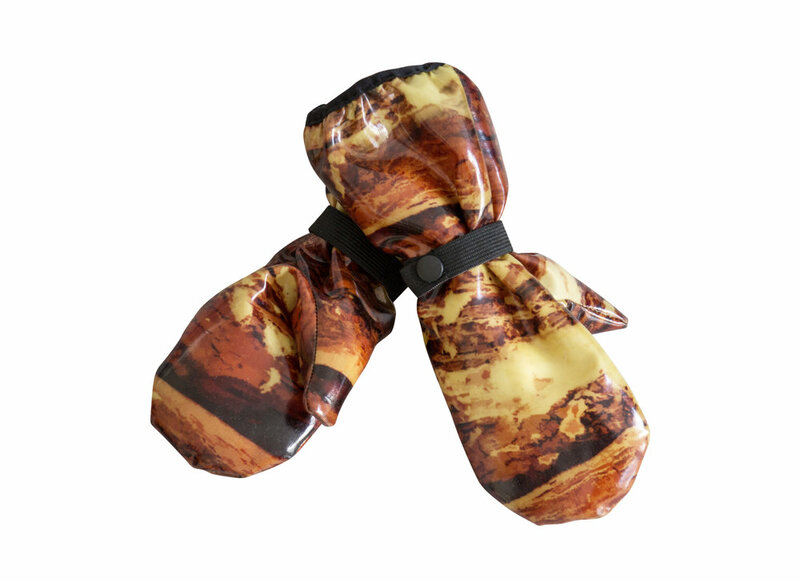 In several other experiments a creative print design approach was used to finish different non-woven recycled polyester textiles and then encapsulate them in the new recyclable resin. This set of experimental samples extends this approach even further, reworking recycled polyester wadding with industry-ready finishes, to add value through design. These innovations have produced a number of distinctly different but beautiful decorative fascia pieces, showing new material directions for cars of the future. Trash-2-Cash is coming to an end! But don’t be sad, we are showcasing our exciting innovations for the very first time during Dutch Design Week 2018, which opened yesterday. Over this last week we’ve been unveiling each of our 6 Master Case ‘stories’ and prototype products that we’ve developed. Next up: the R3 Coat. Raincoats are currently made from PVC plastic or synthetic rubber-coated fabrics that cannot be recycled. To address this, the Trash-2-Cash designers wanted a high-performance textile for children’s rainwear that could take a bold print design. It needed to be recycled and recyclable, rainproof and also breathable. Using the ‘de-polymerisation – re-polymerisation’ technology, the Trash-2-Cash scientists have been able to produce recycled polyester fibres from blended polyester-cotton and pure polyester waste textiles. From these fibres, a high-performing and printable textile was manufactured. To make it waterproof, the Trash-2-Cash scientists adapted a self-healing material usually used to make sealants for the aerospace industry. The result is a flexible, resin-coated fabric that’s waterproof and recyclable – a surprising innovation! Breathability was achieved by laser-cutting tiny air holes into the fabric. We are hanging the work at Dutch Design Week today! At the show, opening tomorrow, we’ll be showing off our new circular materials and products for the very first time. To whet your appetite we’re giving a sneaky peak of the 6 Master Case ‘stories’ and the innovative sustainable materials and products we’ve developed. Next up, the Reborn - Reworn baby jacket. Polyester fleece was revolutionary in the 80’s but is now known to be hugely harmful to the environment due to the shedding of microplastic particles. This natural fleece is made of soft and warm micro-fibres, produced from recycled cotton textiles, that will not accumulate in the environment. Polyester fleece was a breakthrough new material when first produced in the 1980s as an alternative to wool. Since then, it has become a popular and inexpensive choice for children’s clothing due to its warm, quick-drying, easy-care properties. It is now known that during washing polyester fleece causes damage to the environment by shedding microscopic plastic particles into the waterways, polluting the oceans and the entire food chain, and causing untold damage to the health of many living creatures, including us. In Trash-2-Cash, the designers asked if fibres fine enough to replicate the soft warmth of polyester fleece could be developed by the fibre scientists. The fabric needed to be made from textile waste and be recyclable at the end of its useful life. Most importantly any fibres that broke away from the fabric during washing would need to biodegrade when released into the natural environment. Trash-2-Cash fibre scientists were able to modify the Ioncell-F technology to regenerate cotton waste into new, super-fine fibres that replicate the softness of polyester fleece but without the plastic pollution. The manufacturers knitted and brushed the biodegradable fabric to produce a super-soft natural fleece-like fabric perfect for a baby. 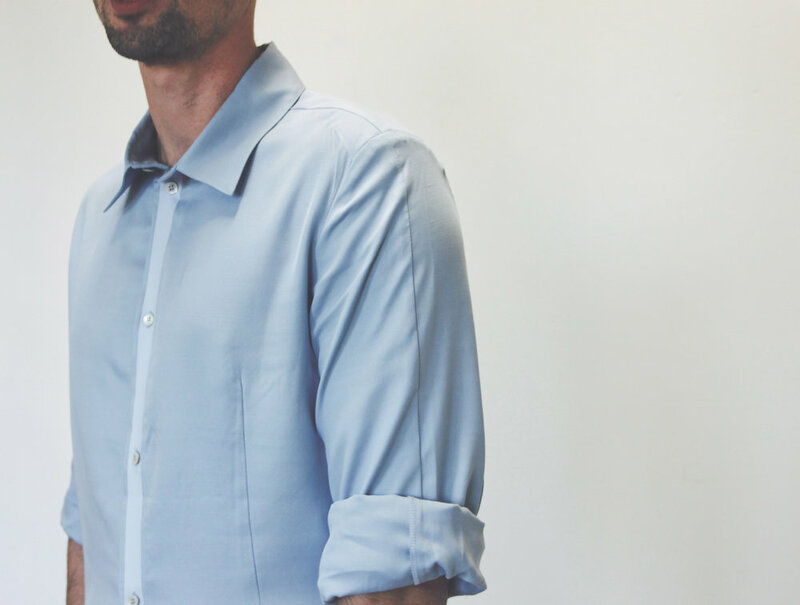 The non-bleached, colour-retaining technology also used in the 0° shirt was used again here, making this a super-low-impact alternative to polyester fleece. The Reborn - Reworn fabric is naturally soft and warm next to delicate skin without polluting us and our oceans with micro-plastics, a life-saving jacket for the future of our children. Right in the middle of unveiling these master cases to you, we want to highlight the process, as well as the products. Because the project is not only producing circular material innovations; it’s also producing a method for others to consider using. Our Design-Driven Material Innovation (DDMI) methodology will also be on show and discussed in Eindhoven next week. As we all move towards more circular systems for the future, we can’t help but really deeply feel and understand the importance of collaborating well together. DDMI is about design being used to inform new material innovation; to drive it even. But it is also about finding ways to communicate, strategise and bond. To commit to each other, no matter our differences. To commit to creating something new and important together. To take risks. We started out on this big rock in Sweden, in September 2015. And we have come a long way since. Many of us think that the real legacy from the project will be in the models, tools and new partnerships that have been created. For some of us, design will never be the same again. Next week at our Final Results Seminar you now have the chance to meet the teams behind the innovations, and join the audience for the panel discussions around the technologies, methods, lifecycle assessment and user insights, as well as the product and process stories. Follow this link to reserve yourself one of the few seats left! As we wrap up the Trash-2-Cash project the results of our research will be exhibited for the very first time at Dutch Design Week 2018, opening this week. As a little teaser for the show we’re revealing each of the 6 Master Case ‘stories’ and prototype products that we’ve developed. Next up: Denim NAture Jeans. To produce a high-performance fabric, manufacturers often blend comfortable cotton with hardwearing polyester. Poly-cotton is the most common material composition in clothing, used in jeans, shirts, t-shirts and uniforms. To make jeans stretchy elastane is added which, Trash-2-Cash researchers confirmed, cannot be detected by textile sorting technologies and pollutes the fibre regeneration process. For the Denim NAture Jeans, Trash-2-Cash designers wanted a fabric that was not only made from waste textiles but also fully recyclable at the end of its useful life. Yet they didn’t want to compromise on comfort or performance. That meant that researchers not only needed to find a way of regenerating the textile waste into new fibres but also find something stretchy to replace elastane. Trash-2-Cash fibre scientists have found a new, sustainable method for separating polyester and cotton so that they can be used again in new yarns for new clothes. Some of that polyester can also be made into a stretchy alternative to elastane, meaning that the Denim NAture Jeans are made from waste materials but are also recyclable when they are no longer useful. To prolong their useful life these jeans would be sold with a patch repair kit and free end-of-life collection to ensure that the material is recovered and recycled. Our Trash-2-Cash prototypes are on their way to Dutch Design Week 2018, which opens this Saturday, where we’ll be displaying them for the very first time. In anticipation of their grand unveiling we’ve been giving a little preview of the 6 Master Case ‘stories’ and prototype products that we’ve developed. Today, the 0° Shirt. Our goal was to design a shirt that had as close to a 0° impact on the environment as possible. The result is a shirt made from Ioncell-F fibres, a material produced from waste cotton textiles. Its pale blue colour comes from the blue cotton feedstock, meaning no bleaching was needed, further reducing the material’s impact. Cotton is a popular choice for menswear, but increased demand has resulted in huge environmental impacts in its production. The Trash-2-Cash designers wanted a fabric with a soft luxurious feel that, like cotton, is also cool to touch. Ideally this new material would not only save cotton production by using waste materials instead, but also use fewer processes in its production and create less waste during garment manufacture. Designers wanted it to be valued by its owner and kept for longer, and when it finally is no longer useful it can be recycled. In other words a shirt as close to 0° impact on the planet as possible. Not much to ask! Trash-2-Cash scientists used a low-impact method to regenerate waste cotton into new Ioncell-F fibres. Instead of bleaching away the colour (which would have added an environmental impact) the colour was left in, meaning that the blue textiles that went into the process produced pale blue fibres. These were woven by Trash-2-Cash manufacturers into a luxurious soft fabric with a beautiful drape. The Trash-2-Cash designers used zero-waste pattern-cutting techniques to ensure there were no offcuts left after the tailored shirt had been constructed. Additionally, an innovative colouring service then allows the owner to re-colour their shirt over its lifetime, prolonging its life until it is finally recycled. With the Trash-2-Cash project coming to its conclusion, we will be exhibiting the results of our research for the very first time during Dutch Design Week 2018, which opens this week. In the run up to the show we’re revealing each of the 6 Master Case ‘stories’ and their prototype product solutions. First up, the ReAct mid-layer. Performance layers are soft and functional, wicking moisture away from the wearer’s skin. But unfortunately the materials currently used for mid-layer garments have large environmental impacts. This alternative mid-layer material made from recycled cotton has hydrophobic properties added to the fibre, ensuring sustainability does not compromise performance. Performance layers are a fairly recent addition to our wardrobes, they cleverly wick away moisture to keep skin dry. Currently, this type of garment tends to be made from virgin polyester using fossil crude oil as a raw material. Cellulosic fibres however, are incredibly soft on the skin and have a natural cooling effect, but they also hold onto moisture rather than wick it away. So the challenge was to make a cool, moisture-wicking, Ioncell-F fabric from waste cotton, which was also soft, quick-drying and recyclable. To do this, Trash-2-Cash fibre scientists needed to make the fabric ‘hydrophobic’, which literally means ‘water-fearing’. This could have been achieved using current finishing processes that apply additional chemical treatments to the fabric. However, to develop a low-impact garment, the scientists instead used a breakthrough technology that put the moisture management properties directly into the fibres at a molecular level to produce hydrophobic fibres. At the spring meeting of the American Chemical Society in San Francisco 2017, doctoral candidate Simone Haslinger, Dr Michael Hummel and Prof Herbert Sixta presented a simple method to separate cotton from polyester in textile waste. Here they describe the underlying problem and explain how their solution can overcome one of the main challenges in textile recycling. There are currently 7.6 billion humans on this planet – and none is like the other. We all differ in our personalities, talents, looks, and tastes. And just as the fingerprints of two people don’t look the same, there are probably no two wardrobes in the world that contain exactly the same set of clothes. Clothes are a beautiful way to express our individuality and celebrate diversity. However, this diversity can become a challenge when trying to recycle old clothes, garments, and fabrics. They represent a wild mix of different materials with different colors, buttons, zippers, prints, embroideries, and many more. Thus, pre-sorting is required to categorize and group the textile waste according to certain criteria. At present, this is still mostly done manually and is very time-consuming. But the level of automation is increasing steadily, making textile waste sorting more and more efficient. A major share of textiles and fabrics on the market are not made from one material, but are blends of several fibers to achieve certain properties and functionalities. Even after successful pre-sorting, the separated garments often contain several materials. By far the most prominent mixture on the market is cotton and polyester. When isolated, both offer great potential to be reused and serve as raw material for the production of virgin cotton and polyester fibers, respectively. However, when mixed together neither of the material can be processed. Thus, another separation according to the chemical nature of the material is needed to turn the textile waste into a suitable feedstock. We have been working for a number of years now on a technology to produce man-made cellulosic fibers from any cellulose containing feedstock (i.e. 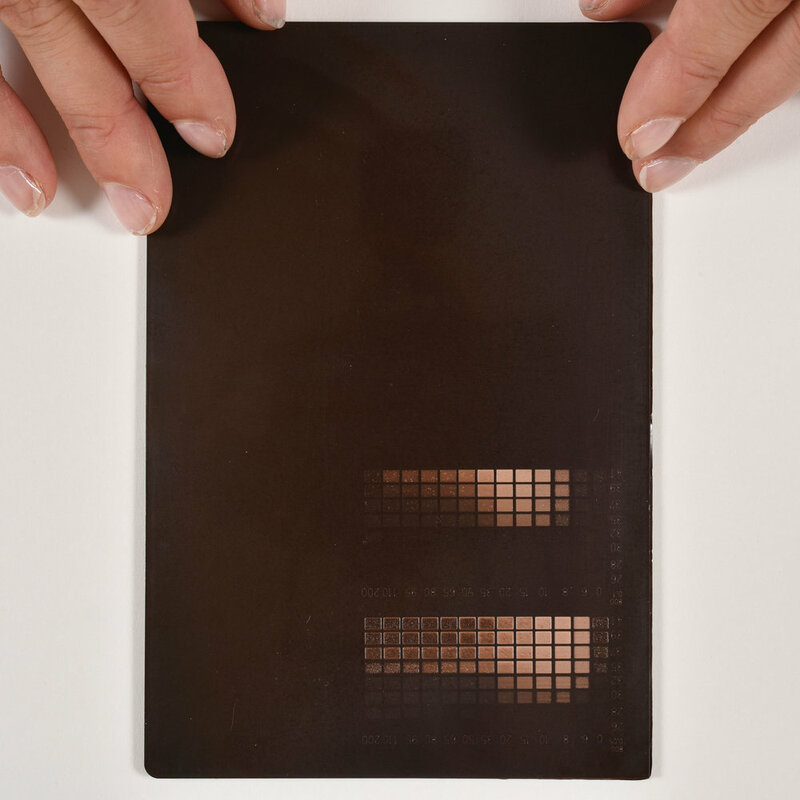 cotton, paper, card, bamboo…) – we call this technology the Ioncell process. Integrating the separation of cotton and polyester into this process would allow to remove one additional process step and provide important energy and cost savings. Simone has started to use cotton-polyester mixtures as raw material and has developed specific process conditions to dissolve only the cotton fraction while the polyester parts remained solid. Polyester can be simply filtered off to be melted and processed again. The remaining cotton solution can be spun directly via the Ioncell process into new, high-quality cellulosic textile fibers. The established process did not compromise the integrity of either constituent and so a complete recycling of the mixed textile waste is possible. This was a major step for us towards feasible textile recycling. See the full interview that Simone and Michael gave at the press conference of the ACS spring meeting in San Francisco 2017 here. For the penultimate project workshop the Trash-2-Cash team were at the Textile Fashion Centre in Borås, Sweden. With its rich history in textile and fashion production, Borås was an inspiring and appropriate setting for us to discuss our final sampling and product prototypes for the six master cases; the final Trash-2-Cash products. Each partner brought their work in hardcopy and we spent an hour at the beginning of day 1 populating these master case clouds. This was the first time we had seen everything together and the sense of excitement and achievement was clear to everyone in the room. It was the lightest and most joyful workshop by far (which perhaps isn’t surprising) but there was a real sense that all the hard work we had put in, to working with each other as well as on our individual tasks, has been worth it. During day one we were guided through each master case by our Work Package 3 (design) and Work Package 5 (manufacturing) leaders Elina Ilen (Aalto Arts) and Virginie Boucher (Cidetec.) We looked at the new samples and discussed their presentation in the concluding expo at project partner VanBerlo’s Eindhoven offices during Dutch Design Week (DDW) in September. The rest of the day was spent discussing the product stories and technical processes in separate disciplinary sessions before Prof Rebecca Earley (UAL) asked us to think about who our audiences are and how we can tell them the master case stories at DDW. We spent a wonderful evening together at a Swedish sawmill, surrounded by the vernacular Falu (red) timber structure, before embarking on a busy day two schedule, focusing on building the business cases and finalizing the industrial processes necessary for the products to be realised. Whereas the emphasis on circularity earlier in the project had come through the Life Cycle Thinking Tool (LCT), now the focus is very much on LCT’s scientific counterpart: Life Cycle Analysis and so part of the afternoon was spent familiarizing the partners with the LCA flowcharts and identifying missing knowledge that can be provided within the consortium. This is the type of activity that cannot be done easily outside of the workshops. Seeing the flowcharts in large physical form, exchanging questions and suggestions about how to proceed and having RISE’s LCA experts Gustav and Bjorn there to explain help lubricate the knowledge flow in a way that Skype calls cannot. The final session was about the methodology, something intangible at first that has slowly grown into a substantial body of social research about how we work in an interdisciplinary way to develop circular materials. UAL and Aalto Arts began by presenting some of their key findings for the first time to the consortium. Rosie Hornbuckle (UAL) then guided the participants through a thought process exercise that enabled them to apply their experiences of interdisciplinary ‘design-driven’ work to the master cases. This resulted in each disciplinary team identifying which master case ‘most clearly demonstrates the design-driven methodology’, a finding that is essential for demonstrating, and to some extent validating, the way we have worked for these past three years. This workshop was different, not only in the work we did but also in the atmosphere. In the ‘tips and tops’ - a feedback exercise we carry out at the end of each workshop - people commented that it was the best workshop yet, that everyone was so familiar that it was like coming home. This may sound syrupy, but it was said with meaning and shows how much of themselves each person has invested in this process. It’s also testament to how well these experimental methods have supported the team, in knowledge integration, communication and also social and emotional connectivity. It’s an ‘outcome’ we couldn’t have imagined at the start, but it’s something we are very proud of. Come and see all six master cases at the Klokgebouw Cultuurhallen during Dutch Design Week, Saturday 20th October – Sunday 28th October 2018. Each year Milan is the key destination for both fashion and design and Trash-2-Cash was there at Design Week 2018 once again showing off the progress made over the previous 12 months. Part of the Smart City: Materials, Technology & People exhibition at the Materials Village, organised by Trash-2-Cash project partner Material Connexion Italia, on display was the story of Trash-2-Cash and the latest prototype materials to emerge from the project. Professor Becky Earley, of Trash-2-Cash partner UAL, also gave a presentation as part of the exhibition’s programme of talks. Titled “Circular Conversations: Fashioning a Circular Industry", Becky talked about her background, career and practice, and presented the work of the University's Centre for Circular Design (a textile and fashion sustainability research centre of which Becky is co-Founder and co-Director) focussing on Trash-2-Cash and its sister project Mistra Future Fashion. In our efforts to reduce our environmental impacts we often make assumptions about the tacit value of ideas and activities. Recycling must always be beneficial, surely? But when it comes to the researchers of the T2C team assumptions simply aren’t good enough. In a recently published academic article, Dr Gustav Sandin Albertsson of T2C partner RISE and Professor Greg Peters of Chalmers take a closer look at what we really know about the environmental pros and cons of textile reuse and recycling. Here Gustav outlines the key takeaways from the research. A project like Trash-2-Cash, which aims to develop new fabrics from recycled textiles, rests on the assumption that textile recycling is a good thing; for saving resources and for the environment. Circulating textiles instead of incinerating or putting them in landfill is intuitively a sound way of managing materials. But as a researcher with an appetite for calculating the environmental impact of stuff, intuition is not good enough. I want to know the facts: Is textile recycling worthwhile from an environmental point of view? And what should we think about when designing new recycling systems? In Trash-2-Cash we do life cycle assessments, LCA in short, to make sure the materials and design concepts we develop indeed contribute to less environmental degradation. LCA calculates the environmental impact of a product or a service, from its “cradle” where natural resources are extracted, to its “grave” where it’s disposed of. Before embarking on yet another LCA study of textile recycling, we wanted to know what has been done before – and as no one had ever done a systematic review of this, we had to do it ourselves. We found 41 studies, including ones on textile reuse, covering different kinds of materials, and recycling and reuse routes. The 41 studies provide strong support for claims about the environmental benefits of textile reuse and recycling, and that reuse is better than recycling. But they also expose instances in which reuse and recycling do not reduce environmental impact. When the so-called replacement factor is too low, which means the recycling or reuse does not lead to enough reduction of new materials, but rather adds to a growing market. Or when recycling or reuse relies too much on extra transportation, or when the recycling itself uses too many chemicals or energy. And as many combinations of materials and recycling routes have never been studied – most of the territory remains unexplored – we must be cautious about too generalised assumptions about textile recycling. Looking at the literature, textile recycling and reuse – or rather the study of its environmental consequences – seems to be mainly a European interest. 73% of these studies were conducted in Europe. The interest is particularly strong in the Nordic countries. Looking at studies written in the English language only, a mere three studies were on the US context, whereas 7 studies were Swedish – although the former country not only has English as the native language but is also 30 times larger population-wise. There are many environmental problems that could be relevant to consider, both to see the impact of the recycling itself and to see the gains of recycling versus not recycling. Water use, energy use, climate impact, chemical issues, biodiversity loss, to name a few. Still, many studies consider climate impact and not more than one or two other impacts (image below). So many benefits of recycling – and perhaps also some drawbacks – are seldom or never studied. For example, the reduced use of water, fertilisers and pesticides of less cotton cultivation – a likely consequence of reusing and recycling clothes – have barely been considered. Here LCA experts can do a much better work. Now we know that projects like Trash-2-Cash are worthwhile to pursue, but we also know we must watch our step, to make sure we are moving in the right direction and avoid pitfalls. We now know the knowledge we currently have and have identified the gaps in that knowledge that we must try and fill. We know what we are good at and we know what we can be better at. Read Greg and Gustav’s article “Environmental impact of textile reuse and recycling – A review” in full here. ‘No pain, no gain’ is a familiar enough term for gym bunnies. Yet it’s also how some of the T2C researchers experienced the early stages of the project! Inter-disciplinarity is widely recognized as being key to progress in the field of design for the circular economy, but it’s not easy at first. Kirsi Niinimäki, Marjaana Tanttu and Cindy Kohtala’s article Outside the ”Comfort Zone”: Designing Unknown in a Multidisciplinary Setting, published in The Design Journal in 2017, discusses the observations of the Aalto Arts team as they witnessed the wide range of partners getting down to work on the T2C project at the very beginning of the process. Here Kirsi explains the main findings from their observational reflection. “As Trash-2-Cash’s various partners, with their different knowledge, backgrounds and working practices, attempted to work together and understand each other, multidisciplinary collaboration was very challenging at the outset. Scientific researchers are familiar with working in a lab setting, an environment totally unknown to business and industry people. 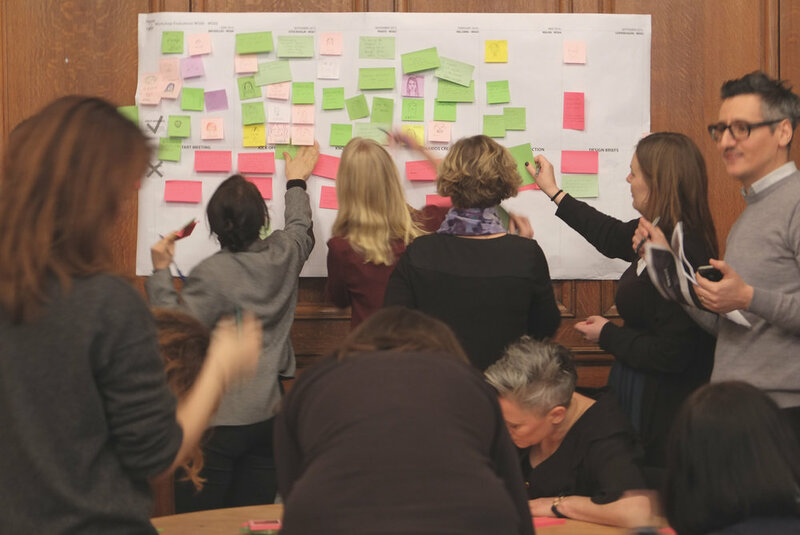 Design researchers are used to facilitating workshops using unconventional creative methods. The challenge in T2C was to develop collaborative working methods that are design-driven and that can boost shared innovation development. This paper focused on the early phase of the T2C project, where collaboration was a learning process, and it described some elements that enabled or hindered the collaboration, as observed by the authors who are Aalto Arts researchers. 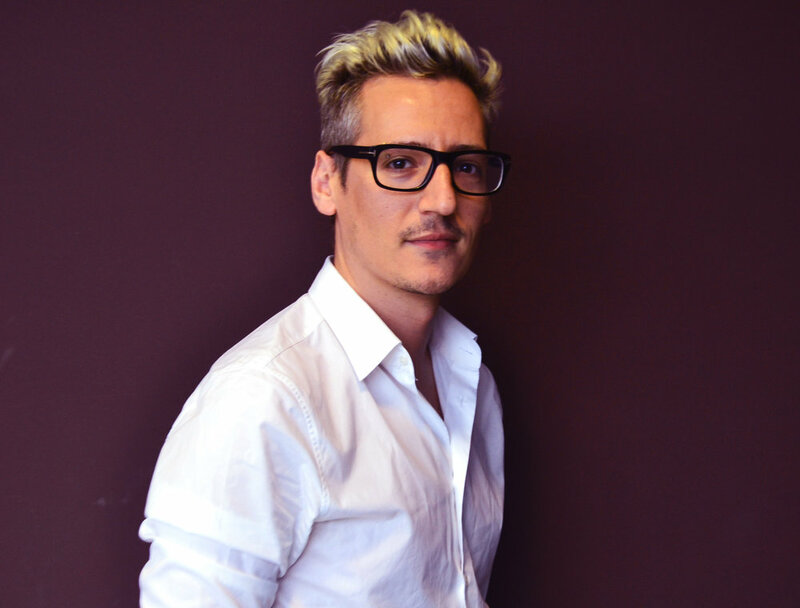 “The design-driven process itself has been experienced as a challenging way of working. Creative workshops have been the tool and setting, a kind of platform on which to build shared understanding and shared knowledge. In the early phase of the project, workshops served participants in getting to know each other, getting to know the subject area and, further, becoming familiar with the ways of working (creative practices). Design-driven processes and creative practices were not familiar to all participants. “Why are we doing this activity?” was a comment heard many times during workshops or after the sessions. The designers who work in the project did most of the planning work and facilitation of the workshops. As a result, the activities remained closer to the comfort zone of designers than that of material scientists. Several requests of clarifying the goal of creative activities can be a signal of having pushed material scientists too far outside their professional practices and their own comfort zones. “It took quite a long time to understand that the project includes two different tempos; the material development advances more slowly than the design concept process. The two tempos caused a lot of discussion and critical comments especially in the third and fourth quarter of the project. “Setting a shared goal was challenging. Different disciplines had different understandings of the project’s goal. From the designers’ point of view, influencing material properties early on in the process is exactly the aim of a design-driven material innovation process. The designers want to push the boundary and reach high-quality properties that can add value to this new material. Designers bring to the table market- and user-centred viewpoints while simultaneously challenging material scientists to raise their ambitions. “The other discussion was about the ambitions of the goal: are we aiming for a target that is easy to reach when the project ends or are we challenging ourselves a bit more and aiming for future scenarios which are more ambitious to achieve within the project timeline? Even so, the project goal for us has been quite vague and a shared understanding of what the material innovation was that we were aiming for was still missing, after one year working together. A shared goal helps to cross boundaries. In our case the future scenarios can be understood as boundary objects in the early stage, as “a map” towards a shared goal. Yet the shared goal has not been argued collectively and this caused some frustration for us during the process. You can read the full article on our publications page or access it from The Design Journal. As a designer at the forefront of materials innovation for bespoke product prototyping, Giada Dammacco's material world involves words like 'piezo-electric', 'double-face' and 'shape-shifting'. Here she talks to Rebecca Earley about the unique interdisciplinary set-up within the organisation she co-founded - GradoZero - how her interest in circularity brought her into the Trash-2-Cash project and how continual learning feeds her design and materials innovation process. Have you ever noticed how important being face-to-face is for understanding what someone is trying to tell you? Communicating in other ways (phone, text, twitter, skype, email…) can often lead to misunderstandings. During Trash-2-Cash workshops, Prof Rebecca Earley and Dr Rosie Hornbuckle explored the importance of the ‘face’ in a series of tasks aimed at helping people to communicate and collaborate better. Rosie now explains the approach and what they discovered. The full details can be found in their paper ‘A Meditation on the Faces of Circular Textile Research’ on our Publications and Progress page. Much of what we do as designers is based on a ‘hunch’. When we began to work on the Trash-2-Cash project, faced with the challenge of getting all these different people from different countries to get along, Becky instinctively knew that using people’s faces could be a way of supporting and strengthening our relationships and help us to better understand one another. So she took her camera to Workshop 01 in Stockholm, Sweden, and did something that you maybe wouldn’t expect a Professor of Textile Design to do… she asked everyone if she could take their picture. 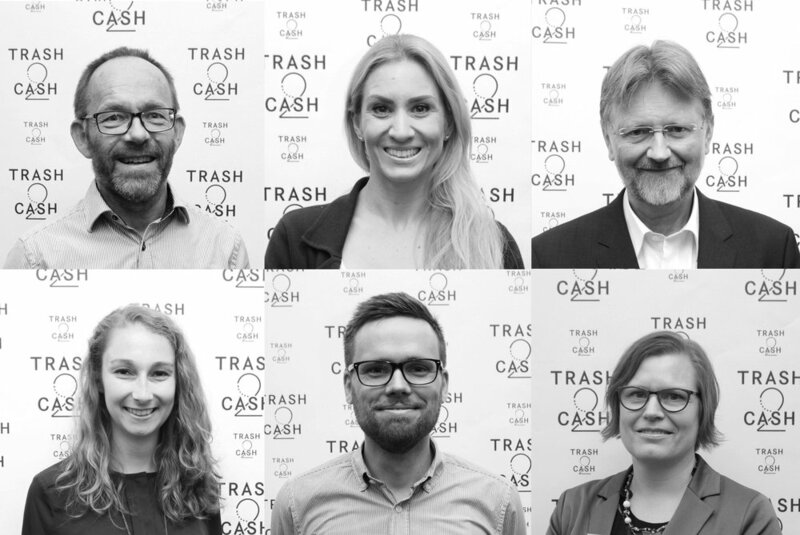 At first we used these pictures to introduce people on the Trash-2-Cash website, but having this archive of faces lead me to think about how we could make the connections between people more real, help people to understand what we are all here to do, and how we could do it together. So I decided to map everyone’s expertise, I asked each person what they know most about and then created a spreadsheet. What we know about spreadsheets is that although they are very useful they are not very friendly or fun. If you want someone to be interested in your information, a spreadsheet is not the way! Instead, I created ‘face stickers’ from our archive of pictures. Within the workshop coffee break we asked people to put their face within a poster of the project, so they could see themselves next to other people with similar knowledge, or they could see who they could talk to about fibre science or life cycle assessment or consumer studies. It was a very popular task, and as researchers we could see that this focus on faces was working. To this point in Trash-2-Cash Becky had mainly been using her knowledge to run workshop sessions, interview people for podcasts and tell other people about the project. But Becky is a textile designer, she is happiest when making. So she took the idea of faces and decided to help everyone make something together… to anyone who was not a designer this may have seemed like a very strange idea for a scientific project workshop. Becky used her previous design ideas, which involved using meditation, and asked people in pairs to draw each other’s faces. 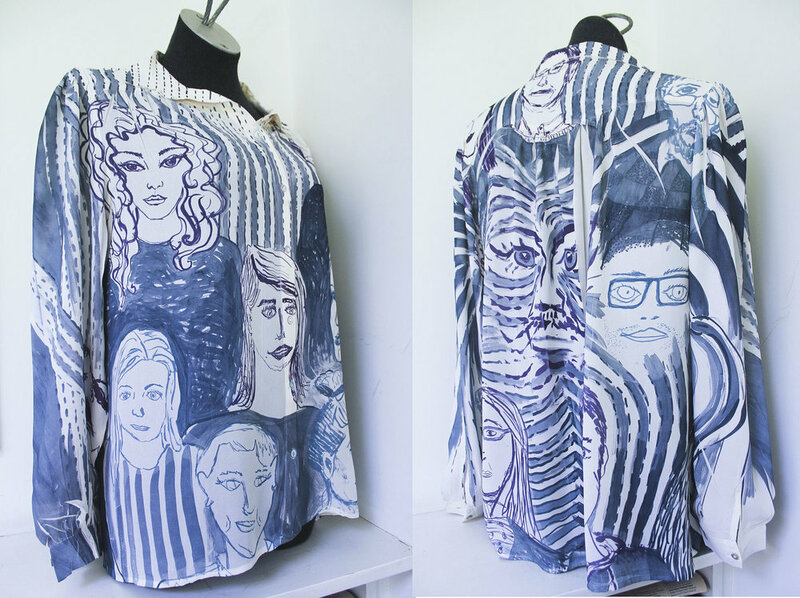 Becky then used these drawings to create a new piece of textile design by printing them onto an old polyester shirt. Although some people were uncomfortable doing this to begin with, they found it a positive experience. The workshops last for two days and are busy and intense – so the meditation followed by the drawing in silence gave people some much needed head space. In this kind of space our thoughts are different and so how we looked at our partners in this task changed. I guess the surprising thing for us as design researchers was that we responded to the interdisciplinary workshop in a way we hadn’t expected to - we were able to positively influence the project and in turn it influenced us. A textile designer and a communication designer working together for the first time with very different outcomes but a common goal: helping people to work together.